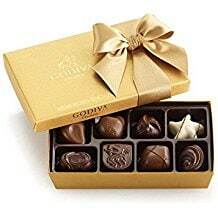 This package of 3 gifts in 1 is the perfect gift for your sweetheart! 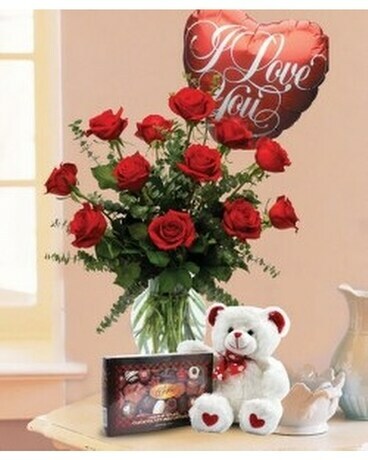 Premium red roses designed and vase arranged, a sweet plush animal and a box of chocolates say LOVE like no other. Rose arrangements come in 12,18 and 24 count. Chocolates and plush animal are the perfect added touch. 24 Rose Arrangement comes with larger plush animal.